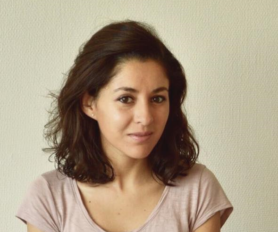 My name is Natalia and I am a PhD fellow from Bolivia in the Integrated Water Systems and Governance Department in the Institute for Water Education, IHE – Delft. My background is in Political Science and I had been working in international cooperation projects and international organisms on topics of water and food security in Argentina, Bolivia and Uruguay before I started my PhD. Now, I am fortunate to be able to carry out research in Mozambique. Currently, I am six months into the design of my research proposal, I am based in Delft, but was lucky enough to go on a field visit to Maputo for 6 weeks last year. At this point of my research, taking part of the CERES training programme was enormously useful for me. I am in the process of defining my research questions and problem statement, together with my supervisor and promotor. Therefore, it was the perfect time to participate of the training and be part of the most friendly and welcoming cohort 2018. During March’s session, we deepened our knowledge on ontology and epistemology and in a very practical way, we had the chance to clear up what is our position as researchers towards the issues we are studying. After that, we had quite a few activities that helped us polish our research questions in their relationship with the key concepts and scales we will be using. We had a very enlightening lecture on feminist epistemology and it was a very positive surprise for me to realize that so many of the participants were addressing gender issues directly or indirectly. During the evenings, we had brief introductions on how to relate to our supervisor and on research ethics. Finally, the last day we had the opportunity to work a bit on our problem statements. All of the activities provided suitable information and were an adequate combination of theory and practice, since we also had some writing exercises and all of the participants had the chance to present their progress in front of the group. In my case, being able to put my thoughts into discussion with the lecturers and my peers helped me realize what parts of it need further work to be clear. Their feedback has been incredibly useful, adequate and respectful at every stage. Sharing a classroom with Lorraine, Han and the group was nothing but a pleasure. Life as a PhD can be lonely and it was a very positive shot of energy to meet and become friends with these wonderful people. For all the academic learning and human warmth, I am looking forward for the next modules!